A major contributing factor to the speed and ease of house training your puppy is the food you choose for him or her. This article will explore the relationship between food and potty training, and provide tips to help you through this stage of your journey with your new friend. 1 Quality Food Is The Key! Quality Food Is The Key! As you no doubt know from your personal experience, there’s a direct correlation between your digestive health and the quality of the food you eat. I’ve often thought the term ‘fast food’ was coined because of how quickly it vacates your body! The same holds true for your puppy; naturally what goes in must come out, but the amount, consistency, and frequency will be dictated by the food they consume. Low-grade food costs less, and there’s a good reason for it: there’s less nutritional content and more filler, such as grain, or soy. Fillers such as these often pass right through a puppy without being digested. This means more frequent evacuations, and they’ll likely be runnier, too. And since loose stool is hard to hold in, it will further complicate the training process. 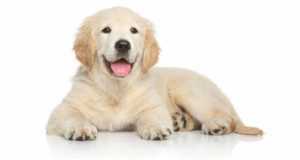 Lower nutritive value will also lead to increased demand for food in order to meet the puppy’s needs. And more eating means even more poop, an obvious detriment to the house training process! High-grade dog foods are full of the type of ingredients that provide beneficial nutrition for your puppy, like choice cuts of meat (not meat by-products) and vegetables. The digestive system is better able to process and digest this type of matter, so the amount that comes out is smaller and better formed compared to what you’ll likely see with low-grade food. 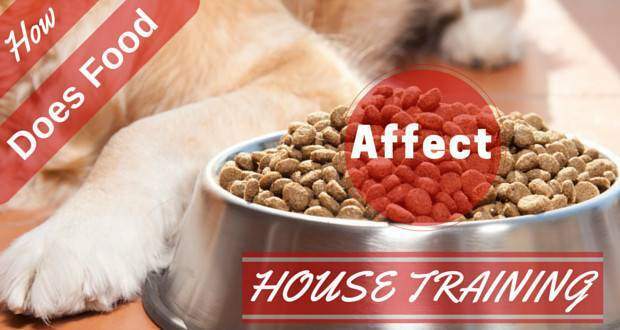 And since the nutritional content is higher, they won’t need to eat as much, meaning they poop less frequently, making the house training process easier. By feeding them (I’m talking about puppies now, not children) at the same few times each day, you’ll soon learn when they’ll need to pee and poop. Knowing this, you can be ready to take them to the appropriate place to do their business when it’s the right time. If you have a good notion of when your puppy will need to poop next, you can be there when it happens to heap praise and affection on them. Puppies love to make their owners happy, and the more praise you give, the more strongly you’ll reinforce their good behavior. Of course, the antithesis of scheduled feedings is ‘free feeding’, whereby you allow your puppy to eat randomly during the day. Needless to say, it will be nearly impossible to determine when your puppy will need to go. This means missed opportunities for praise, more accidents, and they will not adapt to a schedule. Nor will you, for that matter. A feeding schedule allows you to control intake, which means better nutrition, better weight gain, and better pooping. As I suggested earlier, puppies thrive on routine. When they know what to expect, it makes learning easier. That goes for the food in their bowl, too. Once you’ve chosen a quality food that your puppy likes, stay with that brand. If the breeder already has them on something acceptable, stick with it. If you have to make changes to your puppy’s diet (perhaps due to a suspected allergy, or because they’re turning their nose up at what you’re offering), do so gradually. Simply switching one food for another can cause stomach upset and possibly diarrhea. Of course there’s more to house training than number 2. Number 1 needs to be considered, as well. The more fluid that goes in, the more fluid that comes out. There are those who believe it’s a good idea to dole out water much the same way one does with food. The thinking behind this is that controlling water input will allow you to control urine output. The reasoning is sound, I suppose, just as it is with food. Personally, though, I always allowed my puppy (and now my adult dogs) access to water at all times. It’s tougher to gauge a dog’s thirst than their hunger, and I’d hate to deny a parched pooch a drink. To me, it’s not worth the marginal benefits. Excessive drinking of water may also be indicative of a medical problem, such as diabetes, diarrhea (which can lead to dehydration), or kidney disease. Free access to water could afford you the chance to discover a problem you might otherwise have missed. Though I recommend water always be available for your puppy, watch them to make sure they’re not gulping it down too quickly, or drinking too much. You might think proper water intake was instinctual, but for some puppies it’s actually a learned behavior that they’ll develop over time. Needless to say, your Golden Retriever puppy is going to be an active little guy or girl! Remember, they’re going to want more to drink after they’ve been exerting themselves, especially on a warm day. An Empty Bladder Equals Sweet Dreams! There is one time I feel it’s a good idea to restrict access to water, and that’s when bedtime is approaching. My advice is to empty the bowl 2 hours before your puppy goes down for the night, and start the morning with fresh water. Do this, and take them out for a pee just before going to bed, and your puppy will have an empty bladder for the night. You’ll both sleep better for it! You may be tempted to leave water out at night in case they get thirsty, much like having a glass of water on your nightstand. The difference is you can get up and go without disturbing anyone (I’m like a bathroom ninja at night), but your puppy can’t. They’ll either wake you up to go out, or pee in the house, and neither of those is desirable. Of course once your puppy has grown and matured a bit, and their house training has been successfully completed, they’ll have the bladder size and control required for you to leave them some water for overnight. House training your puppy can be a challenge, and progress is not always consistent. 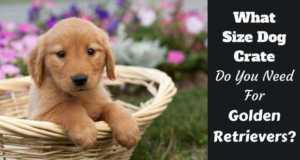 But there are things you can do to help both you and your puppy to a successful outcome. Finding a good, high-quality food that your puppy enjoys will be of great benefit to you both. Good nutrition will help promote digestive health and regularity. This results in good stool consistency. Feeding your puppy on a schedule allows you to regulate their intake, and accurately predict when they will need to defecate. By knowing when they will poop, you’ll have fewer messes, and more chances to praise them and reinforce the behavior you want to see. Puppies live to please, and be loved. House training can be a wonderful time to bond with your puppy, while establishing the rules and routines of the house. By feeding your puppy a high-grade food that’s low on fillers, you’re setting them up for a lifetime of health and happiness. And you’ll be able to devote more of your time to playing with your special friend, and less time cleaning up after them. For more information on house training, please see our articles linked to below. 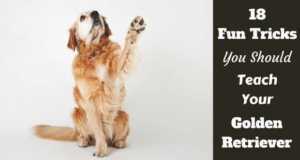 This series contains everything a Golden owner needs to know on the subject and should have your puppy or dog toilet trained in the fastest, most effective and painless way for all involved. We strongly recommend reading through the whole series before you begin, to give yourself the skills and knowledge for the greatest chance at speedy success. "Jim Wright is a freelancer who has previously written about fish, snakes, lizards, and hedgehogs. He is delighted to now shift his focus and share his experiences raising his perpetual puppy, Stitch the Black Lab (and a cantankerous old German Shepherd named Lucy). Jim lives east of Toronto, where he writes and designs marketing material for small businesses. He can be reached at [email protected]." Leash Training Your Golden Retriever for No More Pulling! 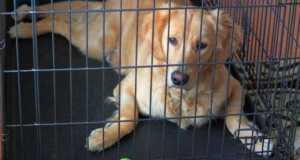 What Should You Put In A Dog Crate And Where To Put It? 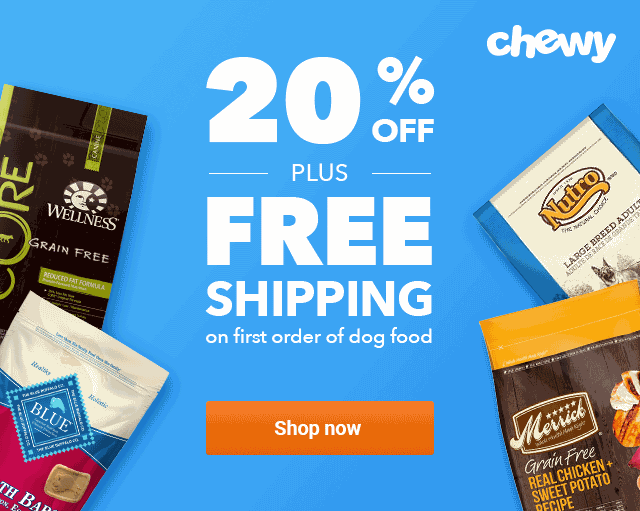 What Size Dog Crate Do You Need? Which Type Is Best?